At CES 2016, Griffin Technology has introduced a new accessory product that will ultimately appeal to owners of Apple’s 12-inch MacBook. The introduction of the machine was greeted with jubilation by those who wanted the ultra-portability of a notebook mixed with the stunning Retina HD display. However, the decision to remove the much adopted MagSafe technology from the notebook was one that perplexed fans and non-fans alike. 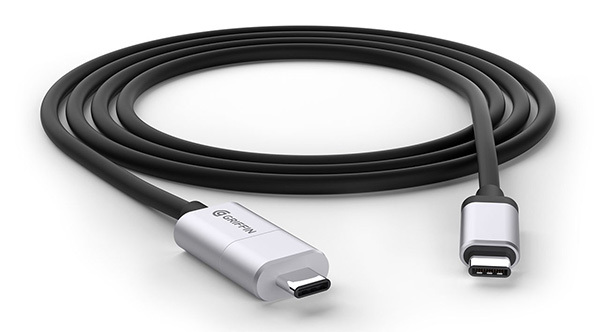 Griffin Technology’s latest addition to its range brings back that MagSafe look and feel via the machine’s default one-single USB-C port. 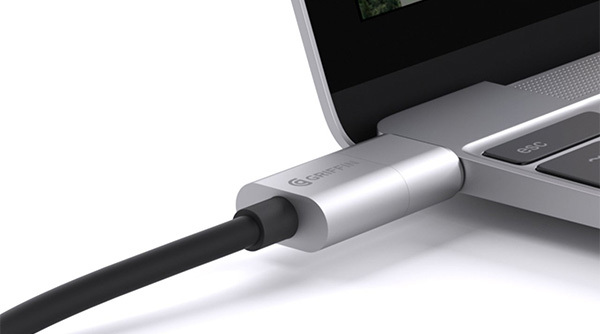 One of the great things about Griffin Technology’s BreakSafe USB-C power cable is that it’s not simply created and offered entirely for the MacBook. The six-foot cable goes above and beyond its own marketing by offering compatibility with any laptops or notebooks that offer USB-C ports, so if you feel the need you can even use it on your Chromebook Pixel when desired. With that said, this particular offering is likely going to appeal on a mass scale to those Apple MacBook owners who simply miss the secure look and feel of the MagSafe on their shiny new MacBook. The product is fairly simple in the way it works. 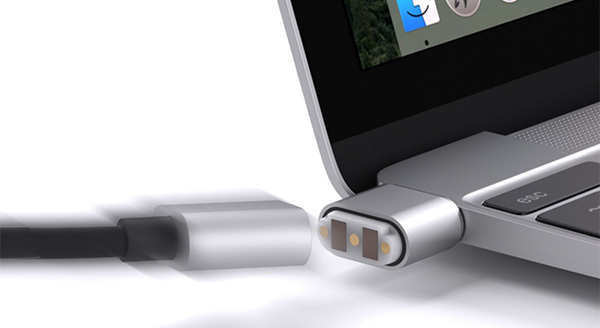 The BreakSafe comes with one connection end that plugs into the USB-C port on the new MacBook. The other end of that little gadget features a magnet that attaches directly to the six-foot cable that can then be connected to a power outlet to charge the device, or any other USB-C packing gadget for that matter. The beautify of that design is that not only does it mimic the look and feel of what Apple’s own MagSafe, but it also quickly breaks the connection between the laptop and the cable whenever it comes under any form of stress. A perfect way to protect the integrity of both device and accessory. Griffin has also ensured that the magnetic connector is also small enough to be able to be left connected to the laptop for the majority of the time. A great example of form and function from an accessory that is sure to be a hit with Apple MacBook owners. Those who are interested can expect to pick the cable up in April for $39.99. Now all they need is a fan and they’ll have a workable port-less laptop. it doesn’t need a fan! it runs cool enough. I really hoped it would, but it totally does not. It’ll be a great model after a refresh or two, but not yet. you must have a different one to me! I have 12″ Macbook, which i use extensively, It also runs a Windows VM, it may get warm, but never too hot. It handles everything Ive thrown at it with ease. Such a great machine.